Kelly and Kim's Kreations: Winner, Winner, Chicken Dinner!! Thank you to everyone that entered our "Sounds from the Burrow" giveaway! We had so much fun and it was great to hear from you! Here are the 3 lucky winners!! Keep a lookout for these fun centers in your email box! 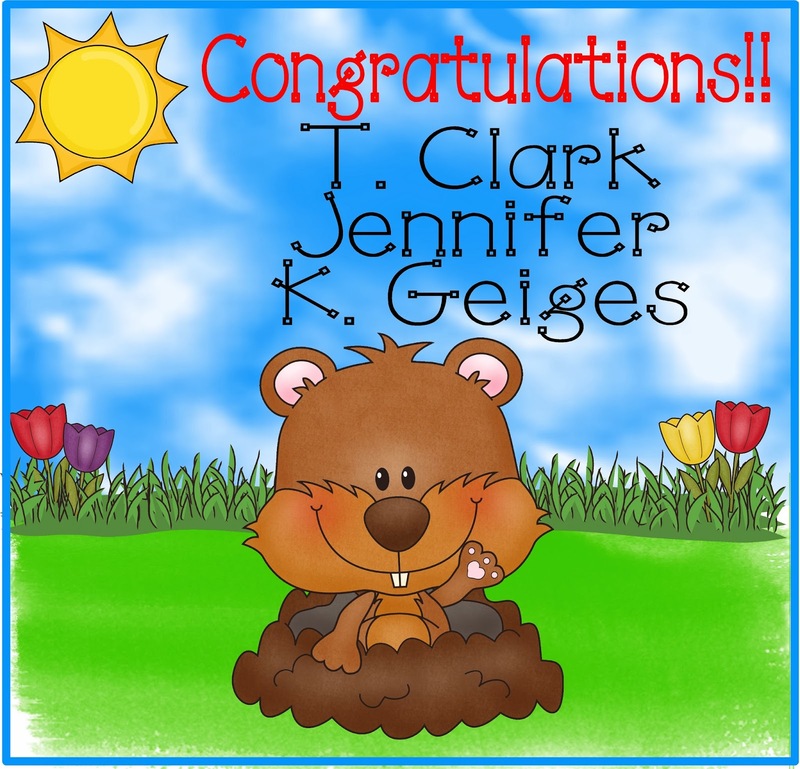 We wish we could give these cute groundhogs away to everyone that entered, but not to worry, there will be many more giveaways to come. Be sure to follow our blog to stay up to date with new contests. Be sure to come over to Facebook this weekend and check us out in the upcoming Facebook Free-for-All! There will be many freebies posted from other teacher bloggers too! It sounds like a lot of fun! See you there! Here's to hoping the groundhog DOES NOT see his shadow on February 2nd! Read any good groundhog books lately? Snow Day = Creation Day!! All Aboard the Syllable Train! AND a Giveaway! The Cold Lady Swallowed What?